These are not grand existential statements. As people may have once been anxious over soul and salvation, today are likewise of car accidents, peanut allergies, smile lines and crow’s feet – a helpless body. Fittingly, the sculptures of Roger Chamieh’s current solo exhibit nearly appear to sag and be pinched, to wheeze and groan. Despite their imposing size (only four pieces fit inside the Tempus Projects’ gallery) certain fragility colors each piece. For example, the show’s centerpiece projects this idea directly in its title, Broken. The sculpture, using a dining table as a departure point, lies slumped over on one end. 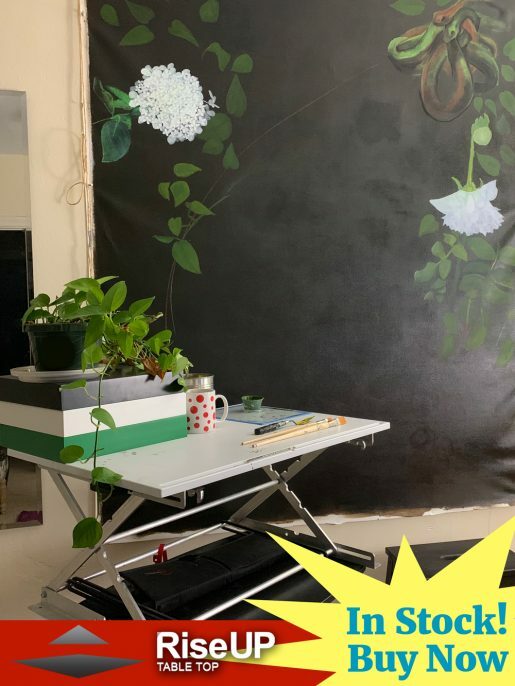 The table is missing two of its legs as if it’s a double amputee propping itself up. 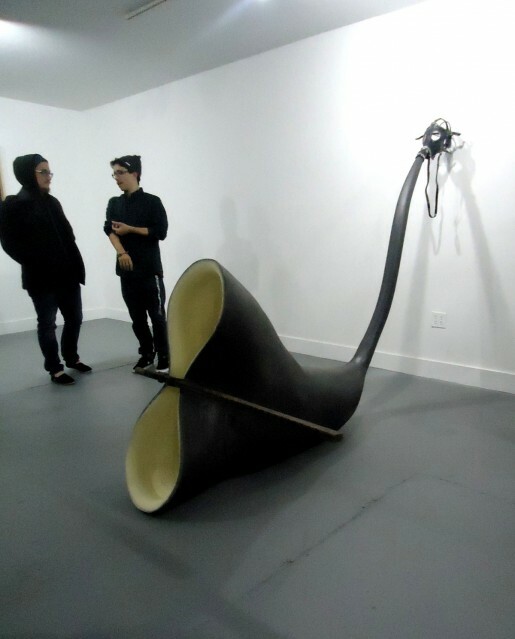 A giant phonograph horn-like funnel penetrates the table. 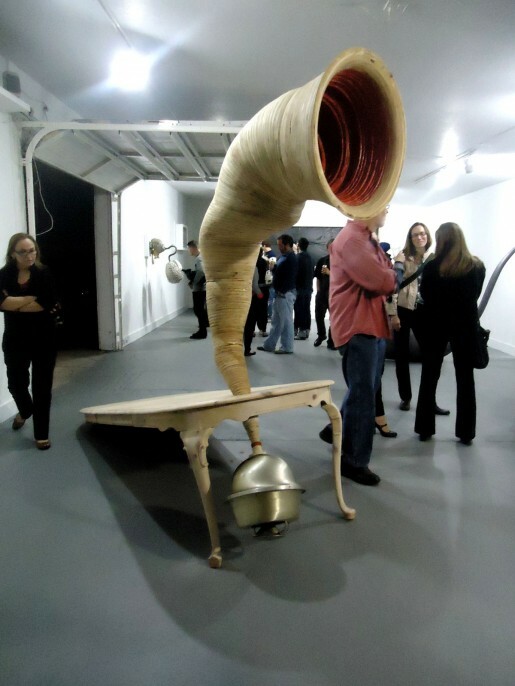 An antique speaker at its base under the table produces what Chamieh’s website describes as “layered guttural and thoracic sounds”. 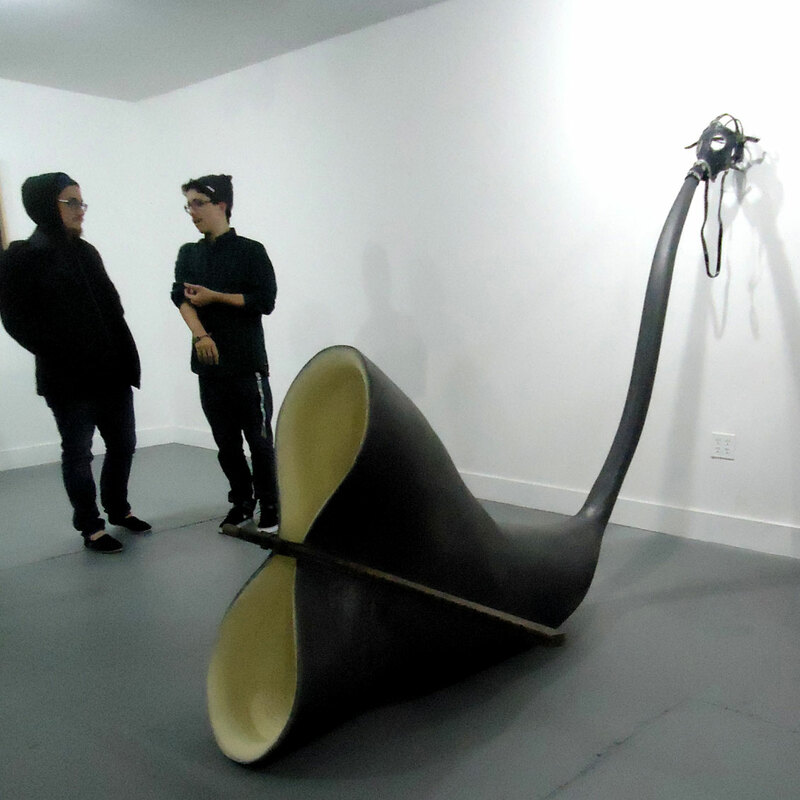 Indeed, the sculpture sounds as if it’s groaning from the metallic pit deep in its throat. A theme that appears in two of the exhibit’s sculptures is breathing or rather, difficulty breathing. One piece’s title, Anoxia, refers to an extreme depletion of oxygen. 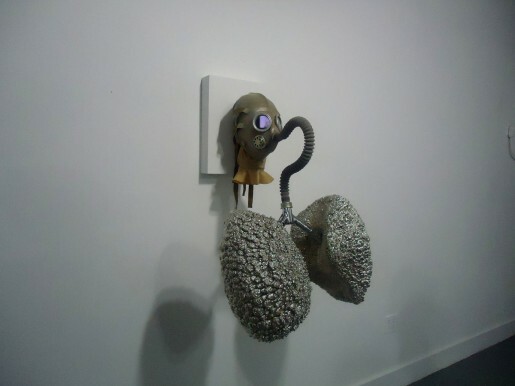 The other, Daddy’s Girl, similarly makes use of a gas mask installed on the gallery wall. Rather than some sort of filter, though, the mask is fitted with a set of chrome lungs. Inside the mask, where the eyes would be, plays a single channel video similar to a home movie. The piece, perhaps, betrays a parental anxiety, a fear of the multifarious threats to one’s child. Really, the entire exhibit does not seem to investigate some grand (and pretentious) existential view of death. Rather, the gallery is filled with a lingering near paranoic fear of dying peculiar to modern life. This isn’t a primal fear of survival, but one of a 5-ounce bottle of liquid on a plane or the newest carcinogen. Chamieh’s sculptures struggle for breath as if hyperventilating, suffocating under a crushing anxiey. 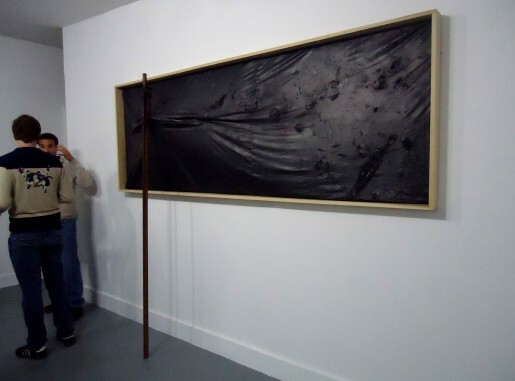 Apophenia, the title of the exhibit, is the tendency to find meaning in patterns in which they do not exist. Much like a hypocondriac building pestilence from trivialities, or even an art critic finding meaning in an art exhibit.